These Gazaks offered by us are widely appreciated for its great taste . We are expert in offering a vast range of Gazaks which are made using mewa including dry fruits which offer very exotic taste. We offer these products in various packing as per the specification of our clients. 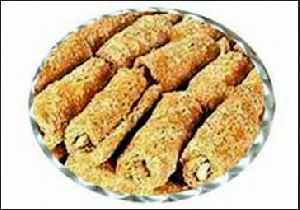 We offer our clients a delightful indian sweet of gajak sugar rolls. these rolls are prepared using all the natural ingredients like til, pasta, butter and sugar. Incorporation of varied flavors by our expert cooks increase the appetizing appeal of these rolls. A crispy treat for your taste buds! 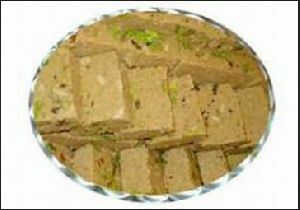 This is Special Mewa Gazak'from the house of ' Bedariya Ram ' is made of Gur with Til and Dry fruits i.e. Kaju, Pista & etc. 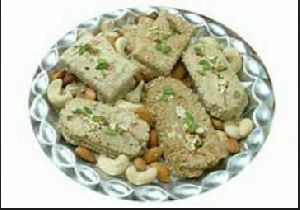 This unique Mewa 'Gazak' with fresh dry fruits makes for a special treat for your loved ones. This seasonal delicacy evokes pleasure and nostalgia. The age old Awadhi delicacy made in 'Pure Desi Ghee' comes from the house of ''Bedariya Ram.